"I would like to thank you, Zhou Xun, for touching our hearts with your acting, and now, for helping us in our mission to tackle climate change. We are proud to welcome you as the newest member of the UN family and honored to call you the first National Goodwill Ambassador for UNDP China," said Khalid Malik, UN Resident Coordinator and UNDP Resident Representative in China. 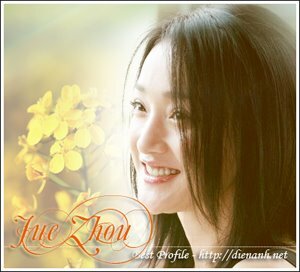 "Zhou Xun has set a good example in her own life to protect the environment that also impacts people around her. It only seems fitting that she has chosen to help the United Nations promote environmental awareness and engage her constituencies to make lasting and meaningful changes in our joint campaign," Malik said. "Climate change has become the defining issue of our time, set to transform the very way we live. Climate change poses risks towards the attainment of the Millennium Development Goals and we must all do our part to tackle this challenge head-on," he added. Launched on the eve of Earth Day, in collaboration with Huayi Media Brothers Times Culture Agency, Modern Media and sohu.com, the two-year, multi-media campaign aims to leverage Zhou Xun's star power to motivate individuals to take part in the fight gainst climate change by adopting simple lifestyle habits such as using reusable chopsticks in restaurants or switching to more efficient, energy saving light bulbs. "Our Part" is meant to tell people that small lifestyle changes can collectively make a big difference. By working with Zhou Xun and our partners, we hope to empower people with the right tools and incentives to reduce their carbon footprints by leading a more energy efficient lifestyle." fun. We want people to be proud to practice them." ultimately drive change so our readers can internalize the concept of environmental sustainability in their daily lives. The life attitude we hope to communicate to our readers can be summarized as 'concern', 'care' and 'love'." To support the campaign, sohu.com hosted an online competition, calling on the public to submit innovative designs for the official name and logo of the campaign. In the course of one month, over 80 logo ideas were submitted and over 40,000 individuals participated in the environmental survey also featured on the website. Selected logo ideas were displayed and winners awarded at the press conference. Zhou Xun also unveiled her work plan as National Goodwill Ambassador after the appointment. She promised to spend time visiting UNDP climate change project sites this year. and recourses to help people build a better life. Appointed by its headquarters, UNDP have six global Goodwill Ambassadors. They are soccer legends Ronaldo from Brazil, ZinÃ©dine Zidane from France and Didier Drogba from C?te de Ivoire, tennis star Maria Sharapova, Japanese actress Misako Kono and Crown Prince Haakon Magnus of Norway. high quality and stylish magazines. Dream, LOHAS and City Magazine. Zhou Xun (BALZAC AND THE LITTLE CHINESE SEAMSTRESS, THE BANQUET, PERHAPS LOVE) is an award-winning actress, fashion icon and eco activist. Rock show in "Women aren't bad"